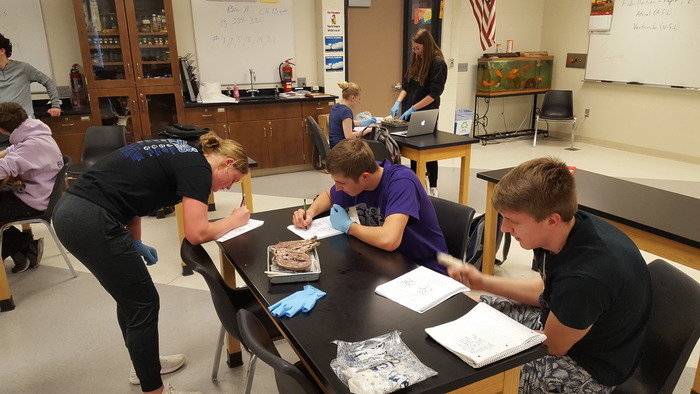 Fillmore Central High School Excellence. Responsibility. Life-Long Learners. Good luck to the track team tomorrow at Tri County! 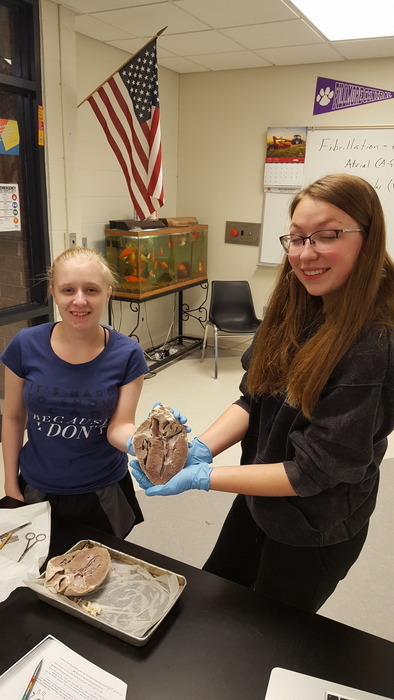 Biology II students have been studying the heart. 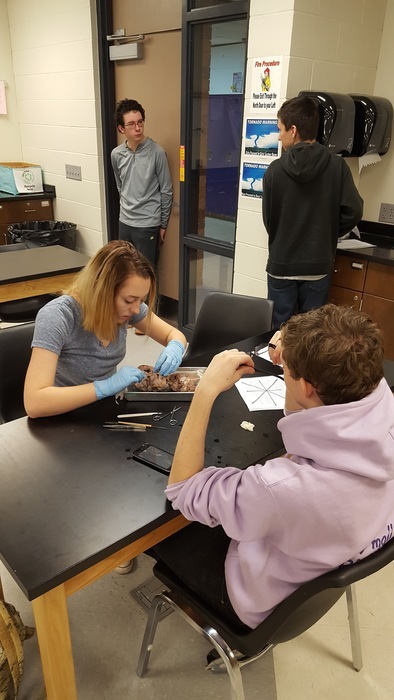 Activities included learning how to take blood pressure and dissecting a pig heart. 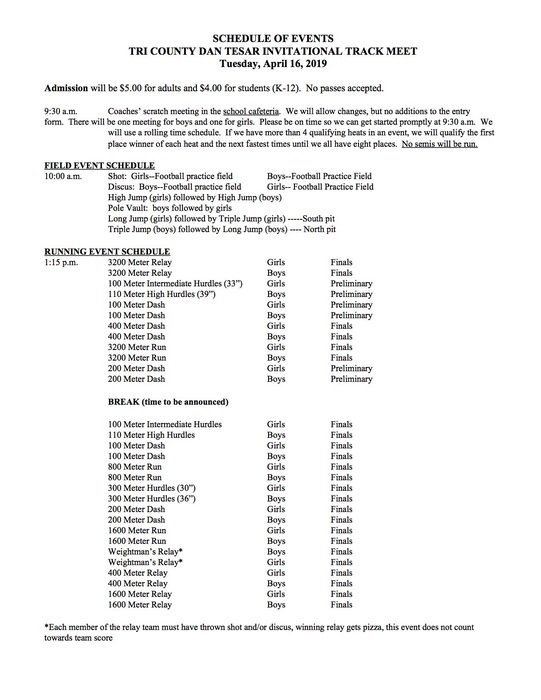 FC Track will be competing at the Adams Central Track Meet on April 5th. Good Luck Panthers! 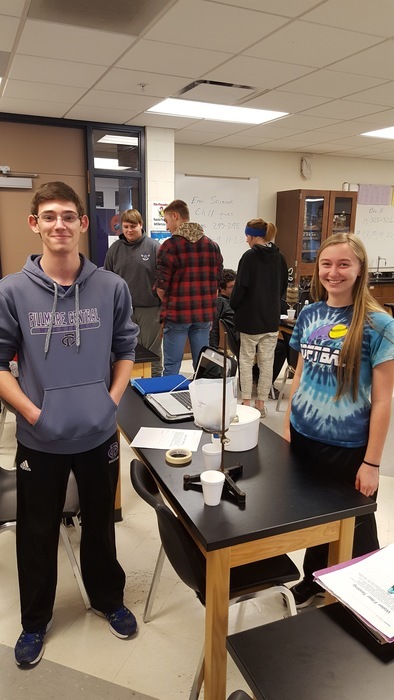 FC Student Council and National Honor Society members will be around on Tuesday April 2nd to collect donations for the Make-A-Wish Foundation. 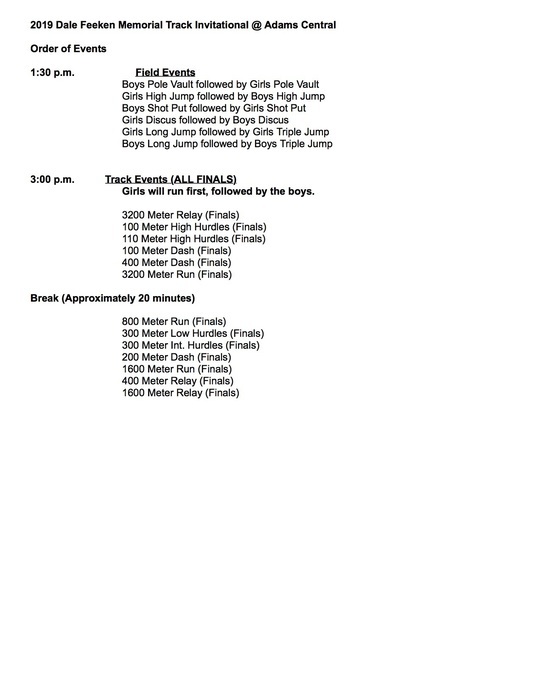 Good luck to the FC Track team tomorrow at Thayer Central. Good luck to the FC Speech team today at State Speech today in Kearney. 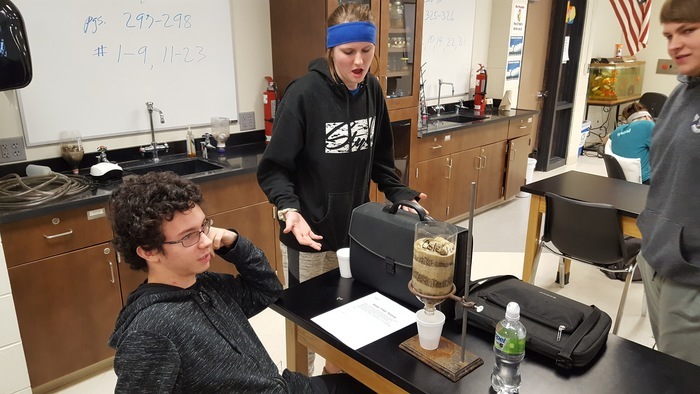 The Environmental Science class has been studying water. 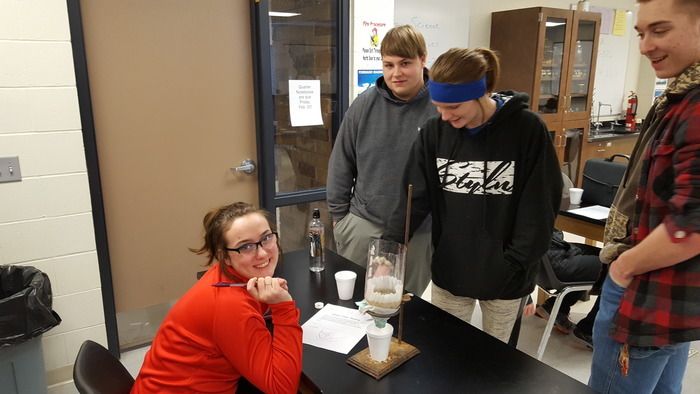 They created and tested water filters. 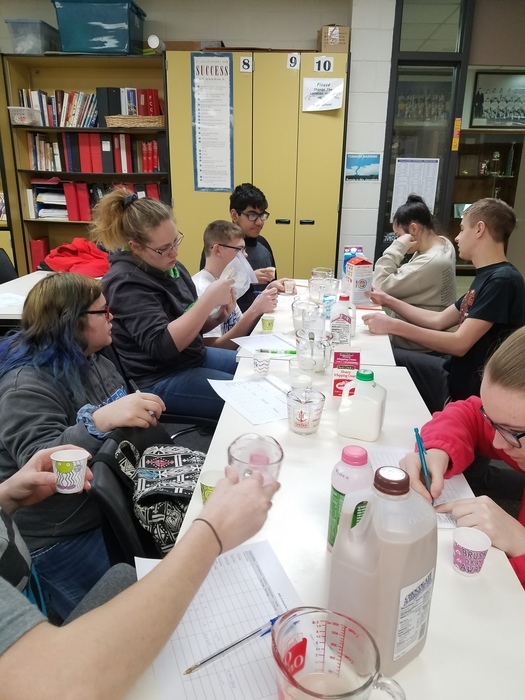 Foods and Nutrition class completed a milk lab today. 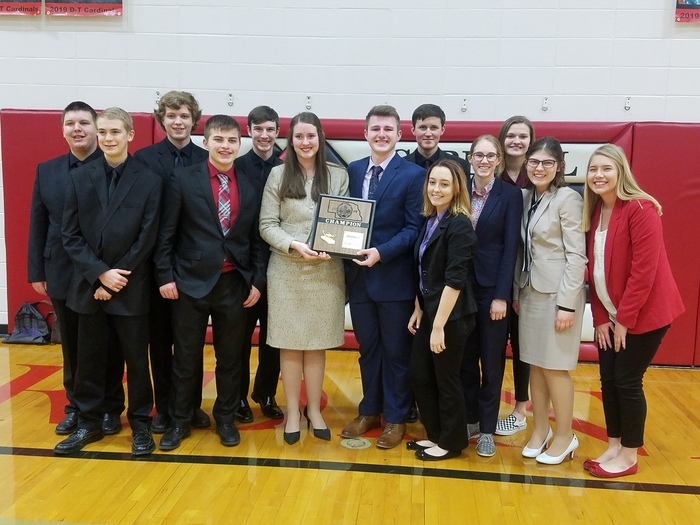 Congratulations to the Speech team for bringing home the district championship yesterday! 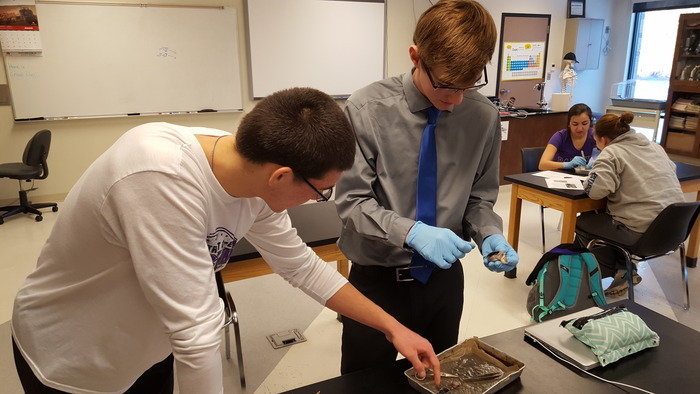 Several students qualified to participate at State Speech on March 21st at Kearney. 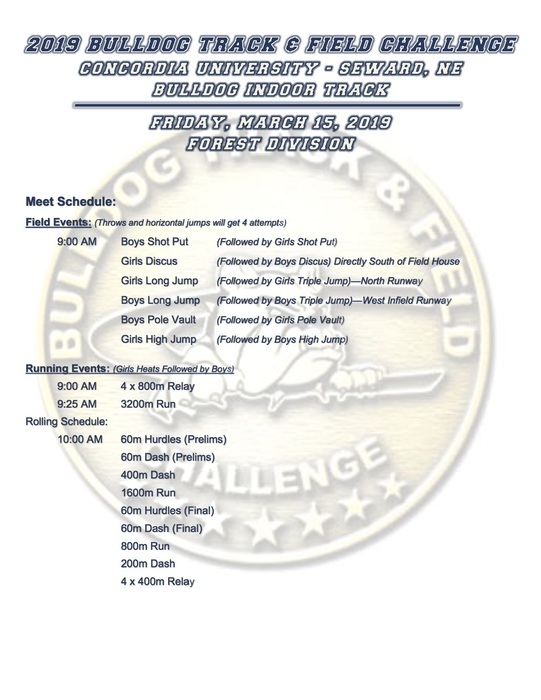 The first track meet of the season is Friday, March 15th at Concordia University. Below the is the schedule of events. Good luck Panthers! Congratulations to the GBB team for a great win in the semi-finals of the SNC Tournament. The team defeated Centennial on their home court, 60-42. The girls will play for the conference championship on Saturday, in Centennial vs. Milford at 6:00 p.m. GO PANTHERS! Speech Showcase is taking place Sunday, Feb. 3rd, at 2:00PM with desserts and performances in the high school library. Good luck to the Boys Basketball tonight. They will be in action in Fairbury at 7:15PM for the SNC Tournament. 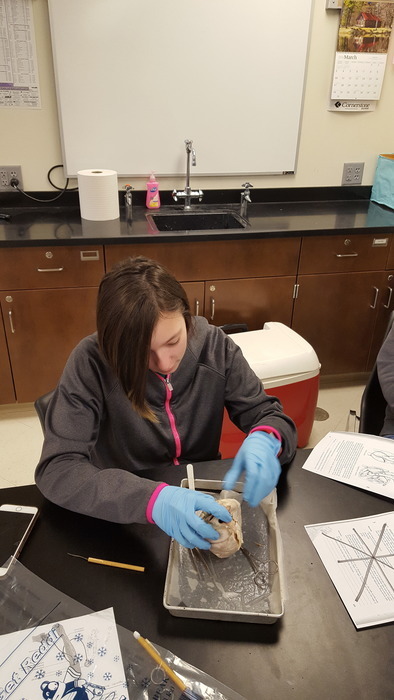 Biology II students dissected cow eyes. Support the Panthers this weekend. 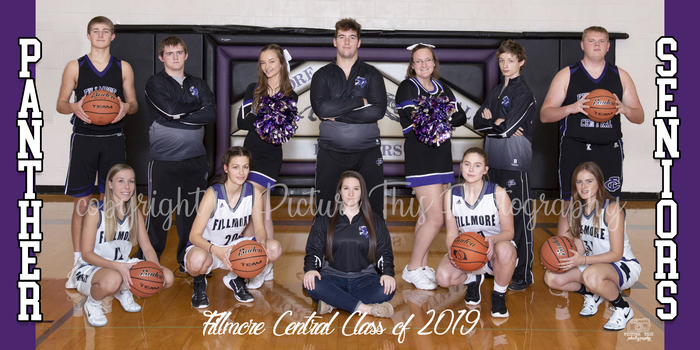 Girls and Boys Basketball teams will be taking on Gibbon tonight beginning at 4:30 at home. Speech team is competing at Lincoln Northeast on Saturday. FC Wresting is traveling to Thayer Central for the SNC Conference meet on Saturday. 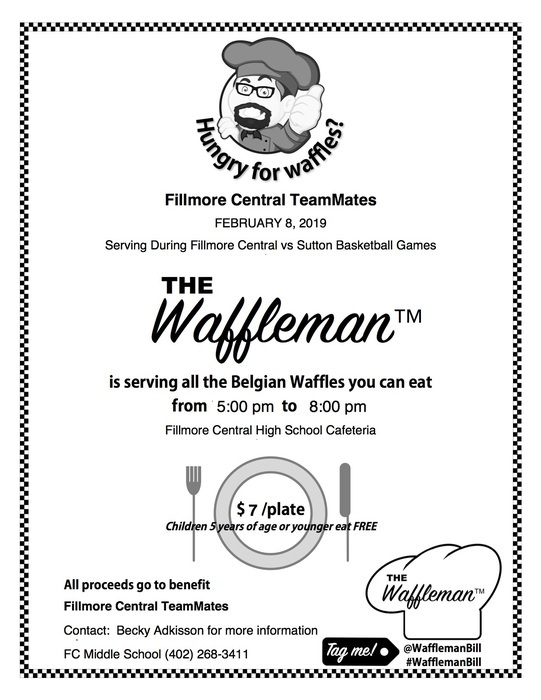 Teammates will be serving up waffles on February 8th during the FC vs. Sutton Basketball games. 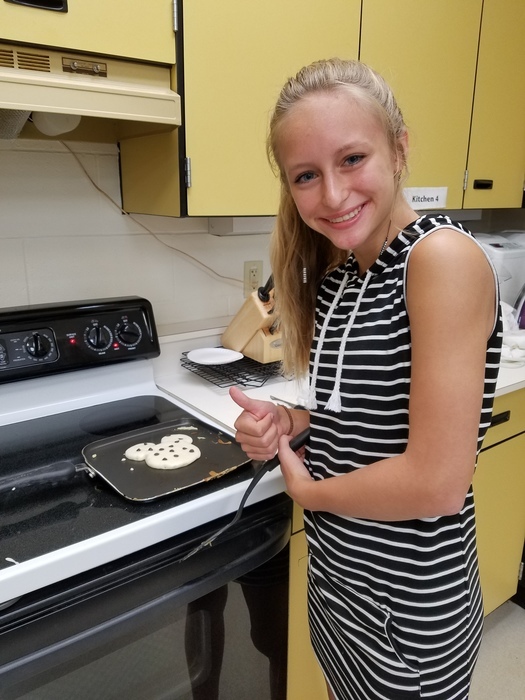 Come join us for basketball and wonderful waffles. 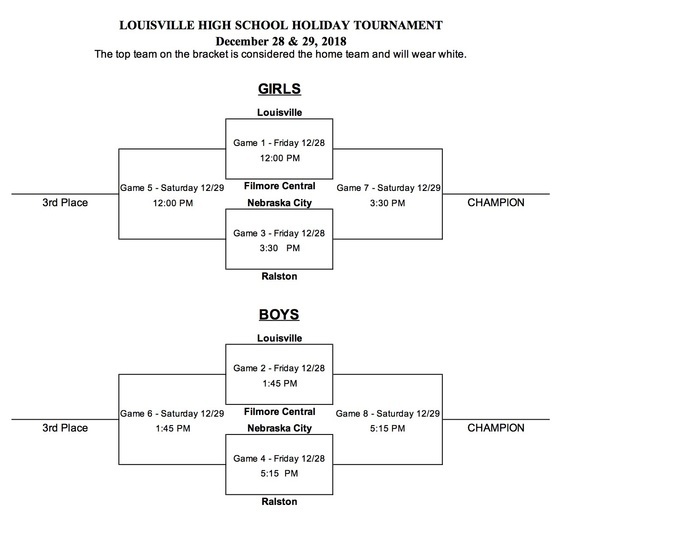 Basketball Holiday Tournament Bracket is below. The games will be played at Louisville. The admission fee is $6.00 for Adults and $4.00 for Students. Good Luck Panthers! 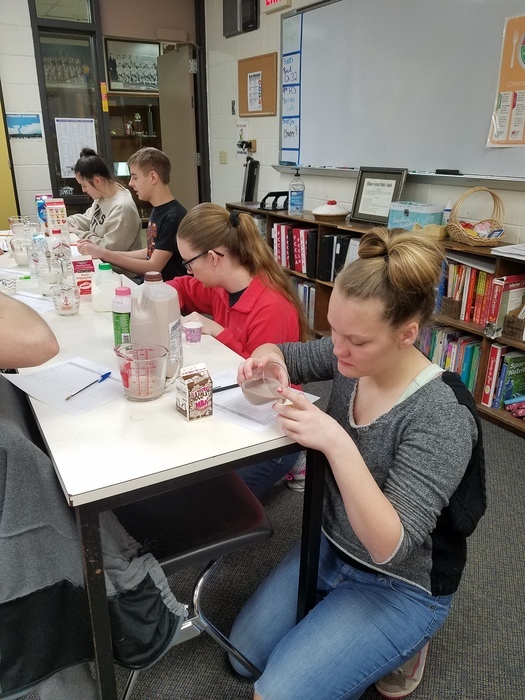 FC competed at the NSAA State Play Production on Thursday, December 6, 2018. "The Trials of Robin Hood" finished 5th place in Class C-1. The Encore Performance of this production is scheduled for Sunday, December 9, 2018 @ 5p. Admission is free, and doors will open at 430p. Meet the Panther night is tonight. See attached image for further details. 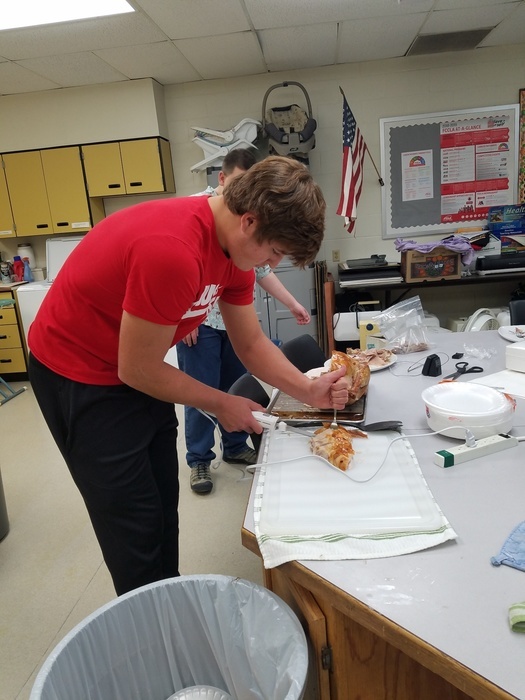 The FFA Boosters will be having a chili feed on Friday December 7th during the HS basketball games vs. St. Paul. They will start serving at 5pm. Food will include chili, hotdogs, chili dogs, and burgers. 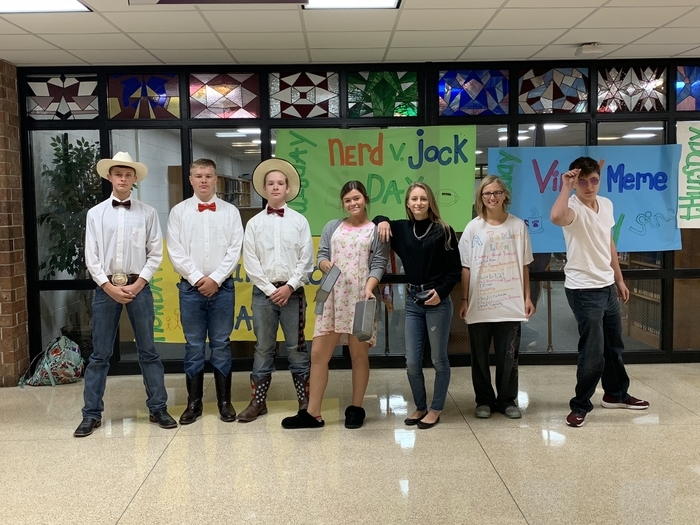 The Fillmore Central One Act qualified for the State Play Production contest, and will perform at 5:15 PM on Thursday, December 6, 2018 at the Johnny Carson Theatre in Norfolk, NE. 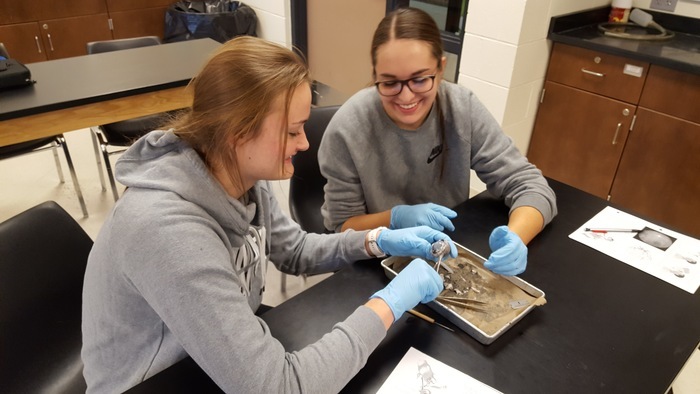 Cost of admission is $7.00 for adults, and $5.00 for students. 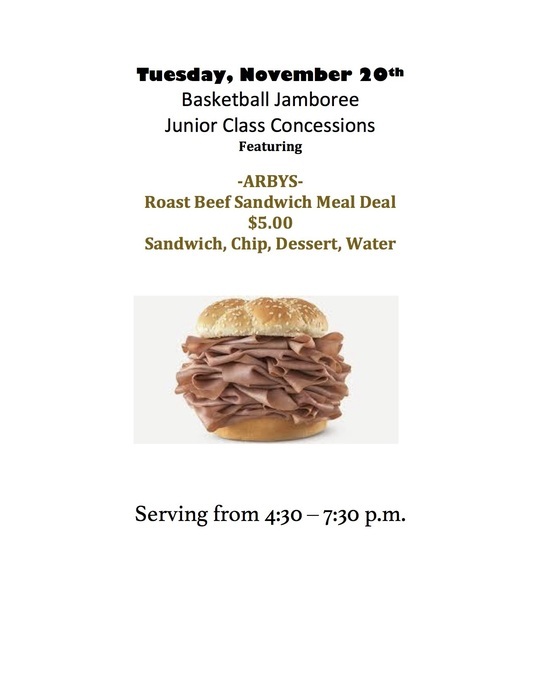 Cross County will be serving Arby's sandwiches during the basketball jamboree games on Tuesday, November 20th. 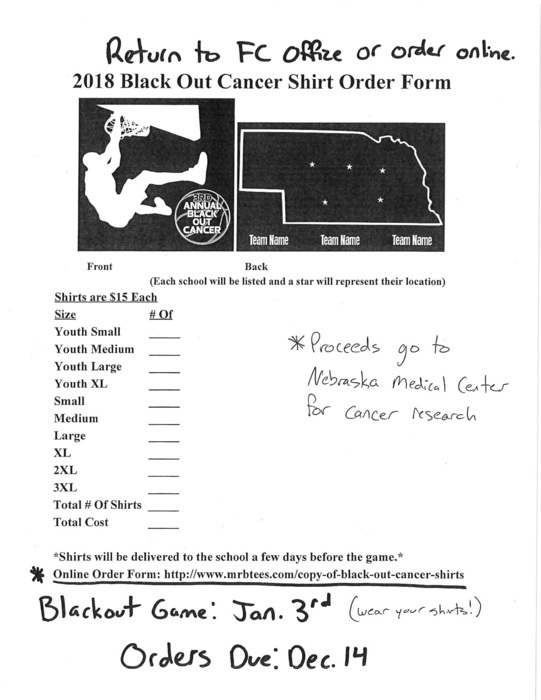 Basketball shirt order forms are available in the high school office. 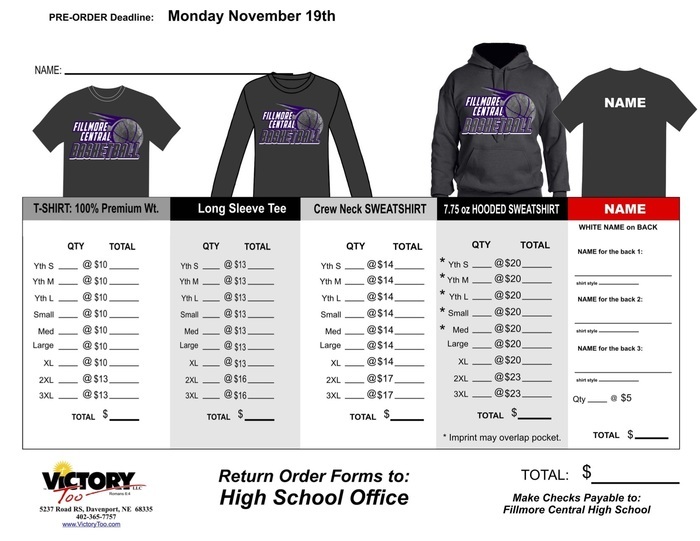 Orders are due on November 19th. 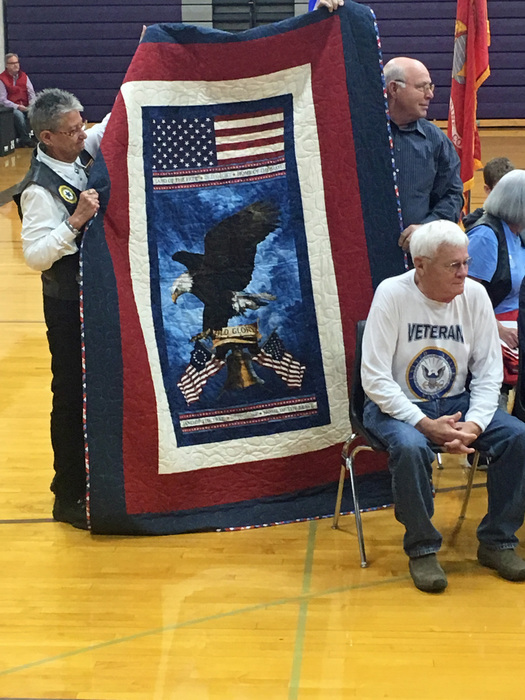 Fillmore Central was honored to host a Veteran's Day Program today that included the presentation of 13 Quilts of Valor. 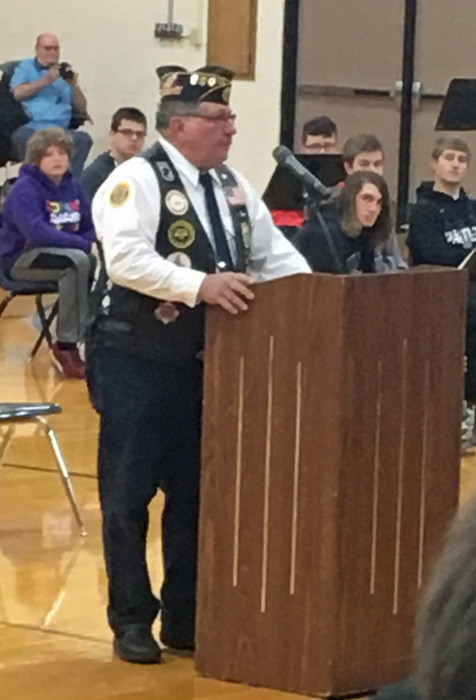 Thank you to Veterans for their service and sharing this special ceremony with us. 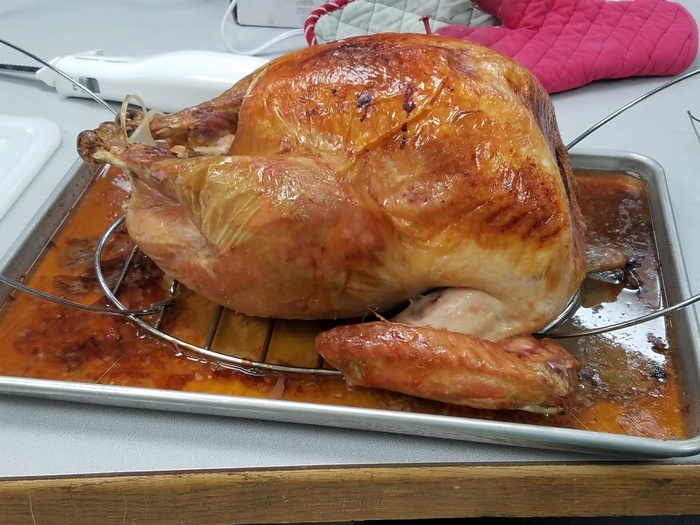 Foods class prepared turkey today. Yum! 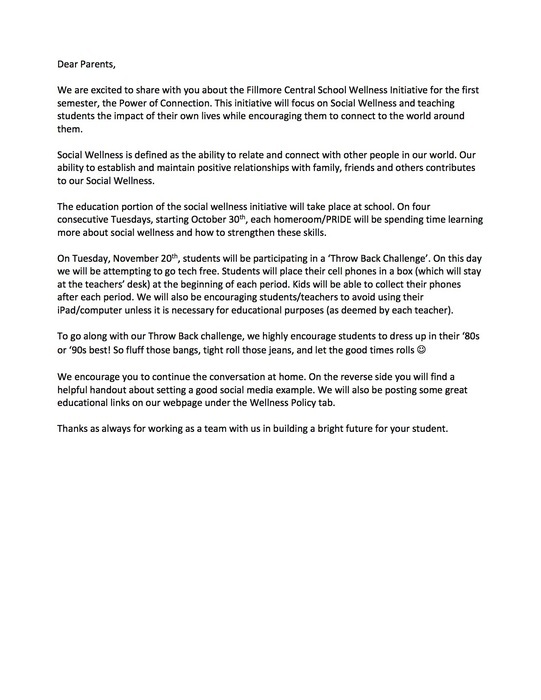 We are excited to share with you about the Fillmore Central School Wellness Initiative for the first semester, the Power of Connection. Please see the images for more information. Come cheer on the FC Volleyball team tonight at 6:30 PM in Geneva as they play their first game of the SNC Tournament. Only SNC passes will be accepted. Admission for adults is $5 and students is $4. Congratulations to Garrett for finishing 10th at District Cross Country and qualifying for State. The Girls Cross Country team finished 5th. The parade and pep rally will take place as planned today. Reminder...Tomorrow is Grandparents Day and a 2:10 dismissal. Weather permitting, the homecoming parade will start at 2:45. 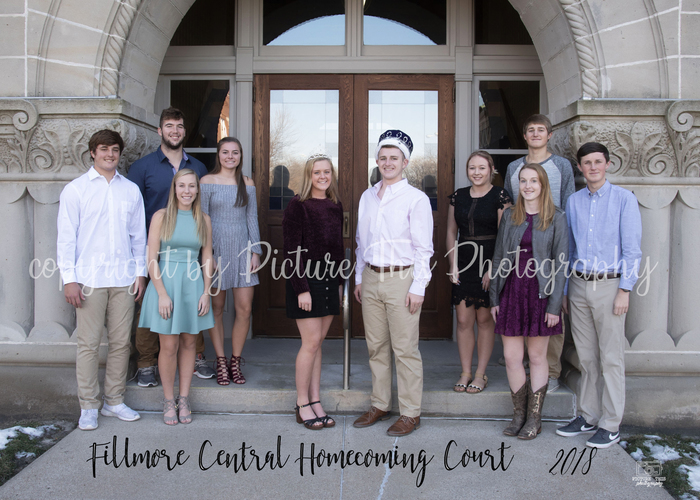 If at all possible the 2018 Homecoming Parade will go on as scheduled. The final decision will be made at roughly 1:30pm on Friday. 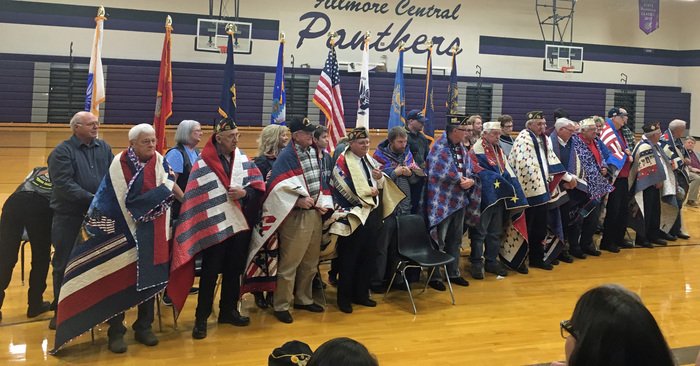 If the parade is cancelled the public will be invited and encouraged to attend the Homecoming pep rally at 2:45pm in the high school gym. 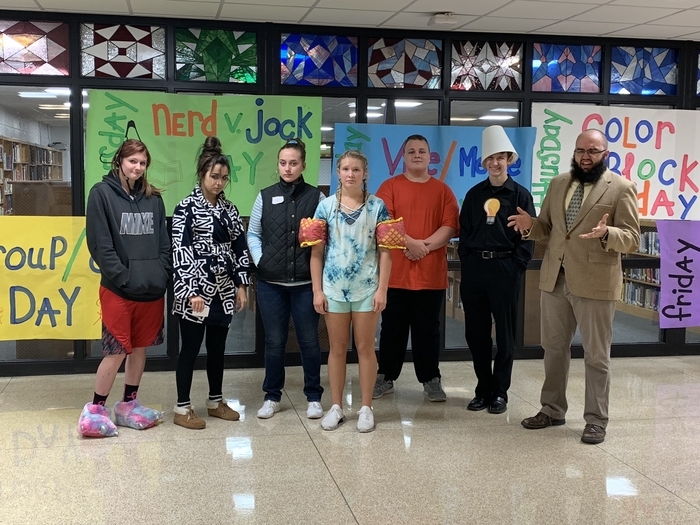 Nerd vs. Jock Day was on Tuesday. 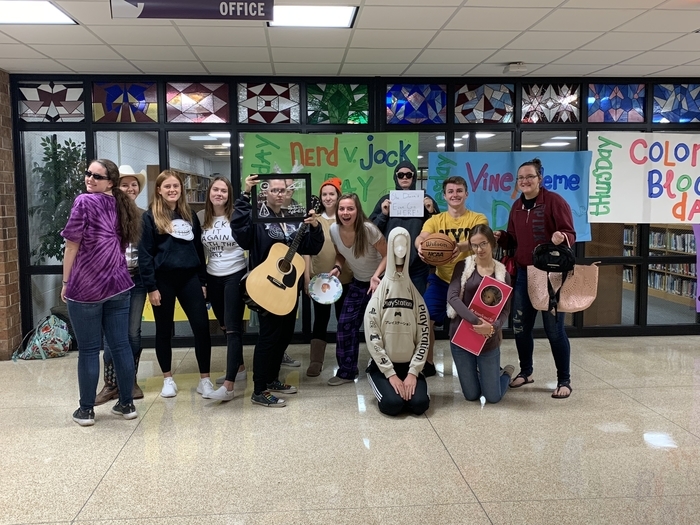 High School Students celebrating Vine/Meme day. 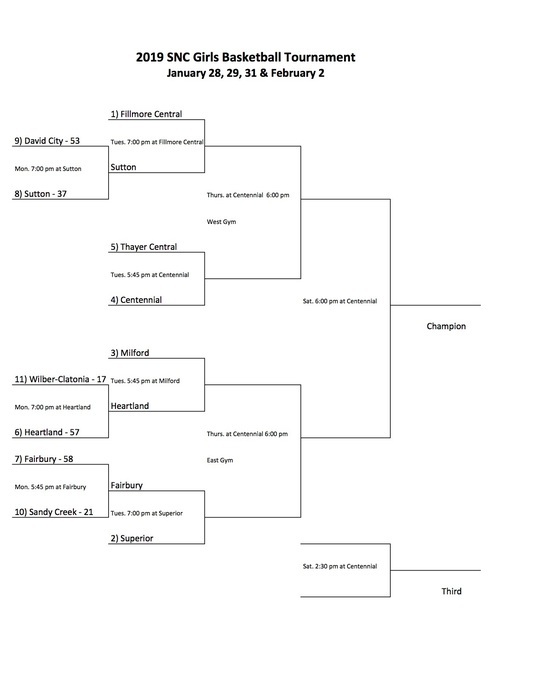 The SNC Volleyball Bracket has been released. 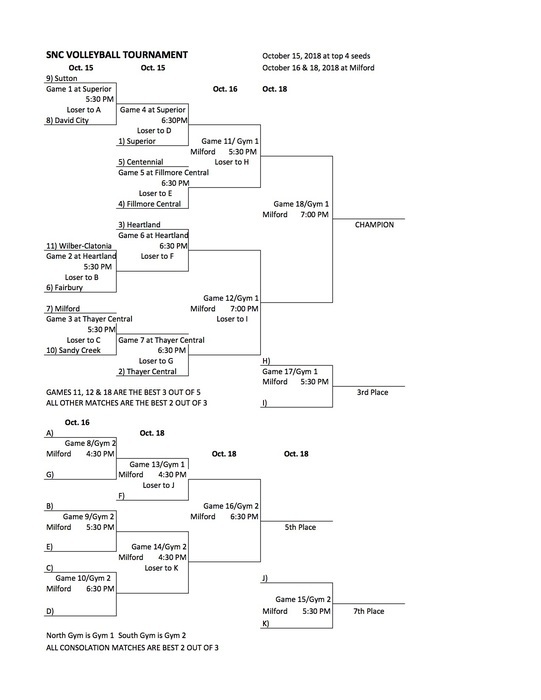 The Panthers will take on Centennial on October 15th at 6:30PM at FCHS. The rest of the tournament games will take place on October 16th and 18th at Milford. 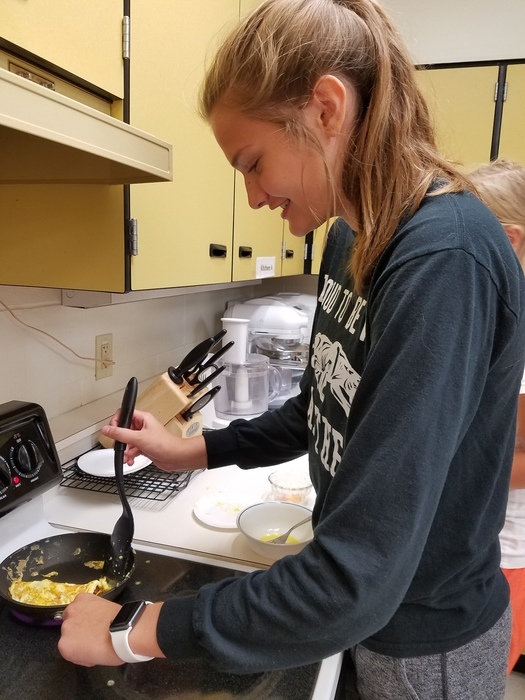 Volleyball is going to be serving up aces against Centennial at home on Tuesday, Oct 9th. It is parents night and we will recognizing the parents between the JV and Varsity games. 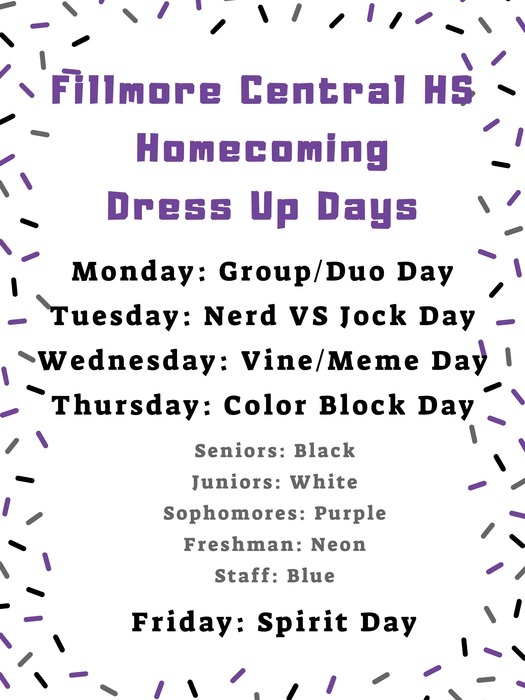 It's homecoming week at Fillmore Central! 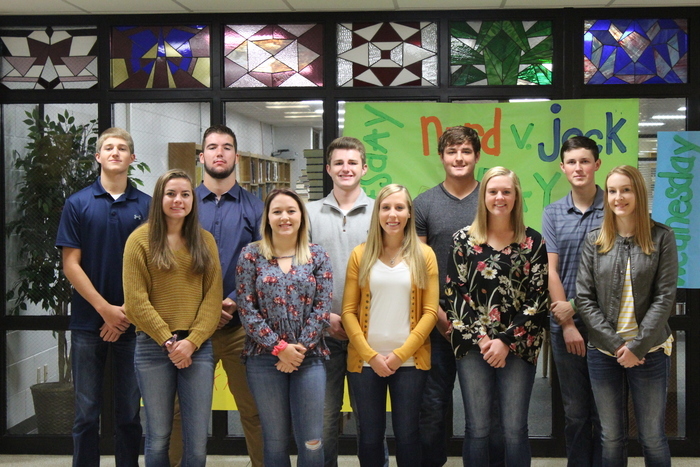 This year's homecoming candidates are: (Back L-R) Carson Scott, Riley Moses, Ryan Poppert, Seth Kenley, Braden Myers, (Front L-R) Sydney Hiatt, Hannah Norvell, Lauren Monteforte, Kalisha Gergen, and Avis Koca. Good luck to the FCEM Panthers at district softball today at Central City. 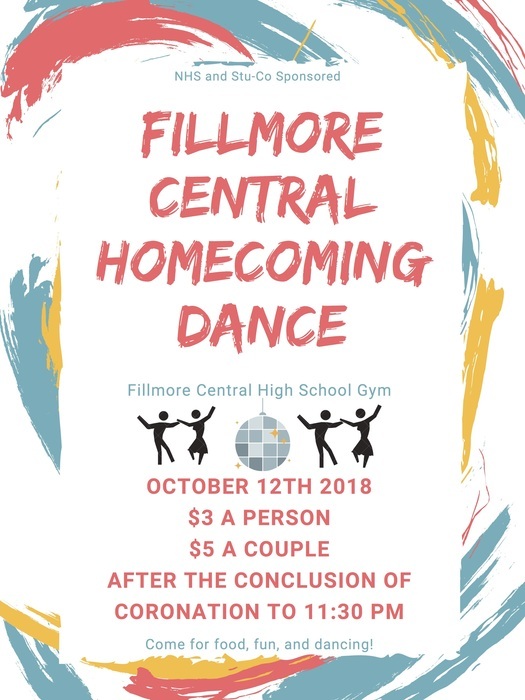 We will start our homecoming festivities on Monday October 8th. 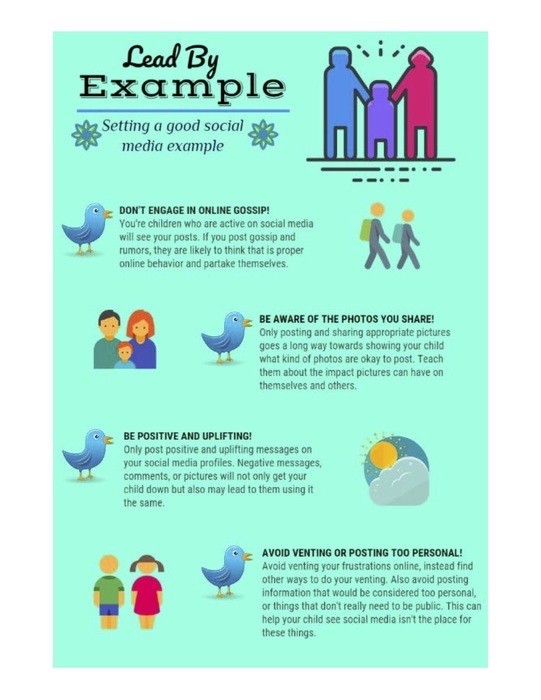 Images have information about dress up days and the dance. 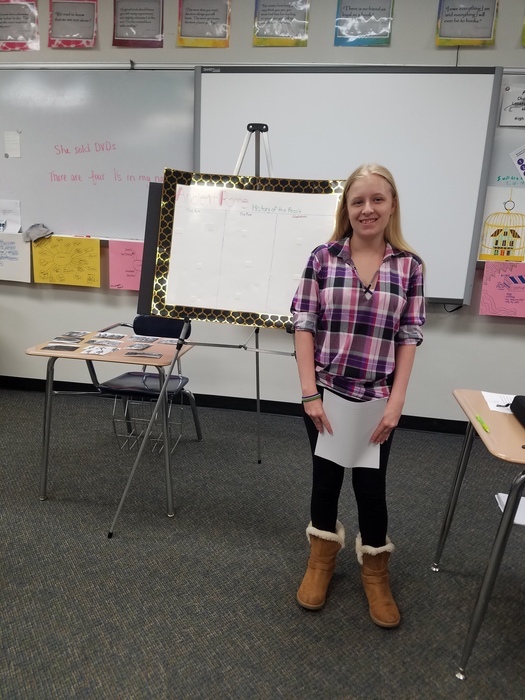 Speech I is presenting informative speeches in class this week. 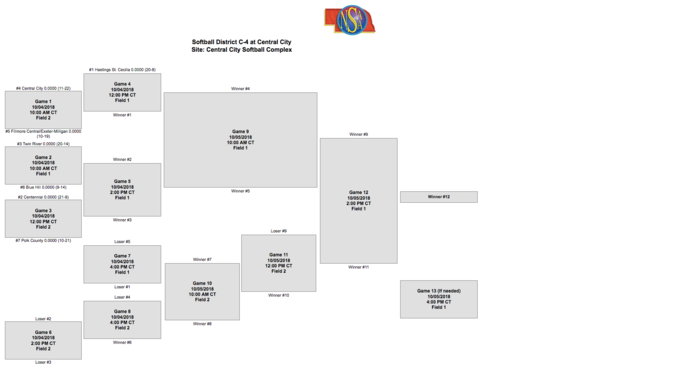 District softball bracket has been released. 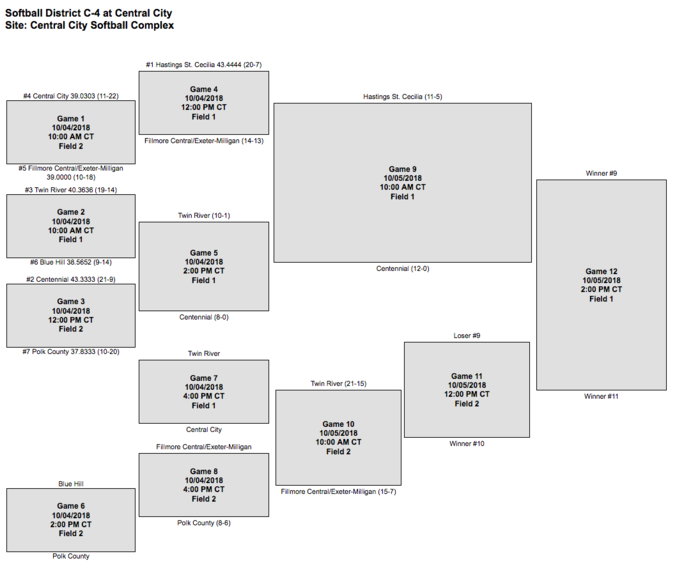 FCEM will be playing Central City on Thursday at 10:00AM. Good luck Panthers. Fillmore central striv is currently experiencing streaming issues. Please be patient as we try to diagnose the issue. Cross Country will be going the distance at the York Country Club today. High school girls race will start at 4:00, followed by the high school boys, and then middle school will run last around 5:15. Volleyball is setting up for a win at Adams Central tonight beginning at 6:00. Panther Softball will be sliding in for a win at Adams Central tonight. GO FCEM! 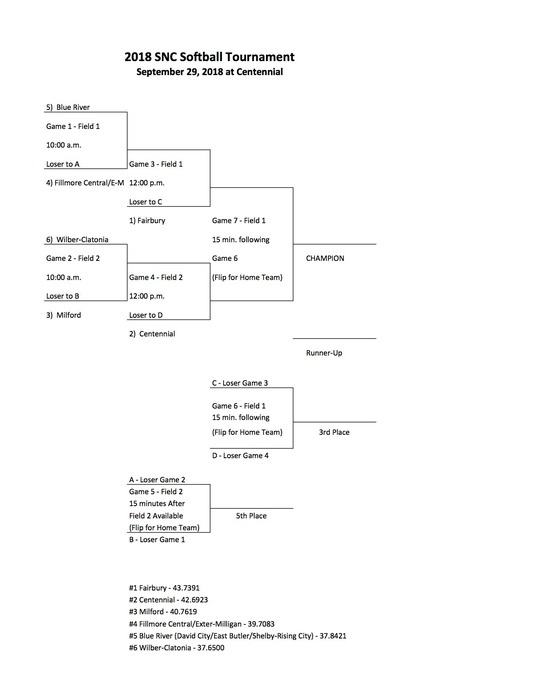 The bracket for the SNC Softball at Centennial on September 29th has been released. Go Panthers! 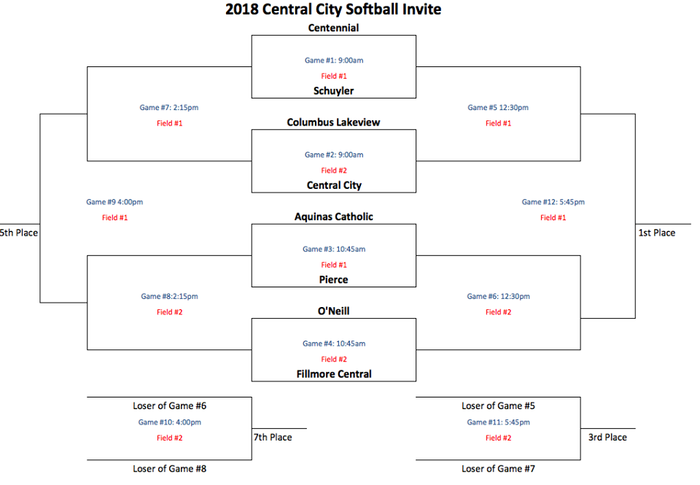 The softball tournament at Central City on Saturday, August 22nd, will be played on two fields. Attached is bracket. 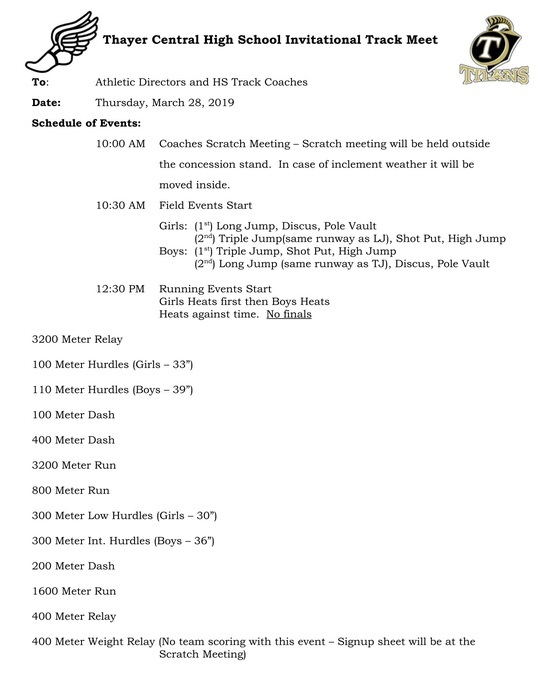 Due to impending weather, the CC meet for today in Hebron has a schedule change. Girls varsity will run at 4:00 pm, boys varsity at 4:30 pm and JH will run at 5:00 pm, weather permitting. VB triangular games on 9-18-18 will be played in Lawrence. FC plays Lawrence-Nelson at 5:30 p.m. and Thayer Central at 6:30 p.m.
FC VB Invite is 9-15-18. The Lady Panthers open pool play at 9:00 a.m. vs. Raymond Central at the HS. The first speech team meeting of the year will be Tuesday, Sept 18th @ 7:30 AM in Mrs. Meyer's room. If you are interested in learning more about the speech team, plan to attend. Breakfast will be provided. Join us for Monday night's Softball Triangular. There will be Pizza, Parent's Night, Pink Out, and Panther wins! The speech team will have Valentino's Pizza for sale at the concession stand. Please come support the Panthers!! Cross Country will racing at Hidden Hills Country Club on Thursday, September 13th. Run times are: Middle School at 4:30, Girls Varsity at 5:00, Boys Varsity at 5:25, and JV at 5:50. FFA Boosters will be there serving hamburgers, chips, and a water for $5.00 from 4:30-7:00. 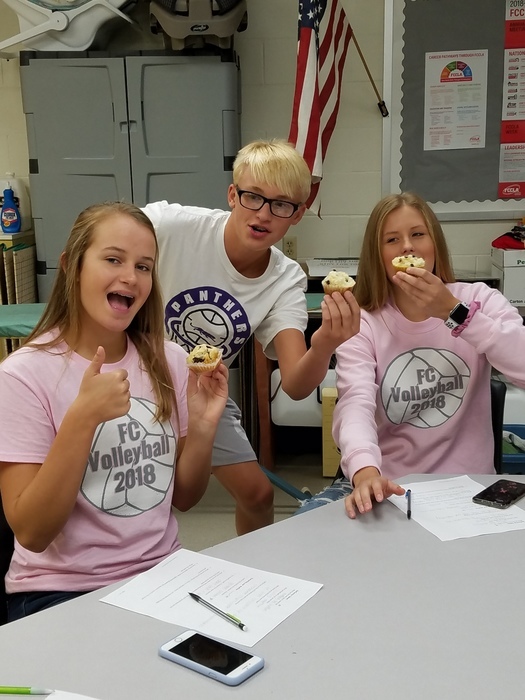 FCS class made muffins today. 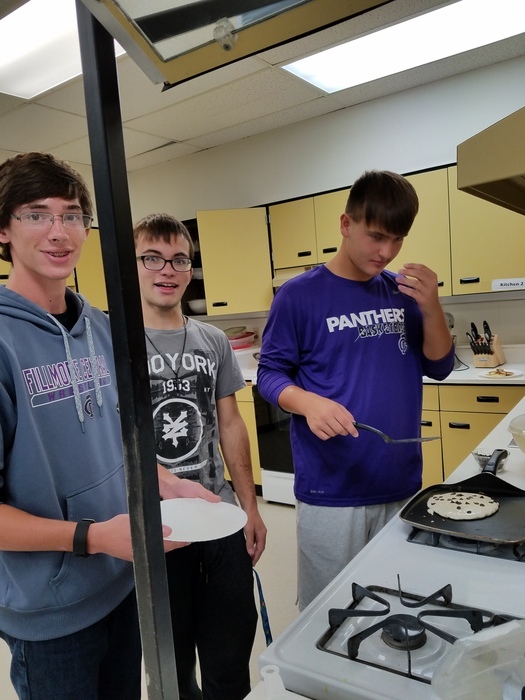 Tonight the FC/EM softball team will be swinging for the fences at Central City and FC volleyball teams are going to serving up a win at Heartland. Go Panthers! Due to the weather, the Meet the Panthers event scheduled for tonight's FB game has been postponed to September 28th. Due to the weather, the Booster Club tailgate at tonights FB game has been moved to the high school cafeteria. Please use the east entrance. Thank you. 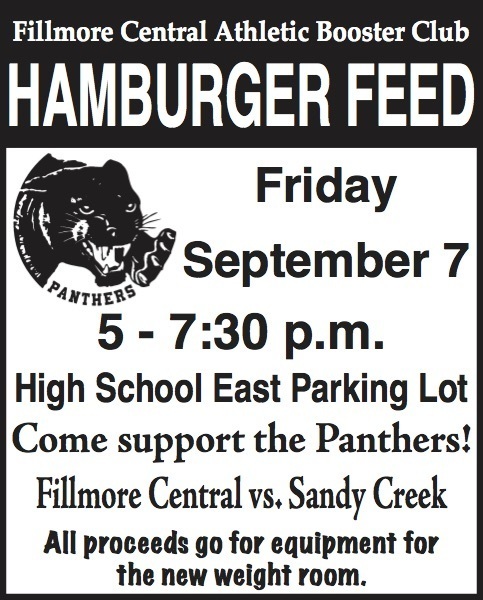 Meet the Panthers tonight at the FC vs Sandy Creek Football Game. Softball and Volleyball will be there beginning at 6:30PM, Cheerleaders during half time, Football and Cross Country after the game. Boosters will be serving hamburgers from 5-7:30. 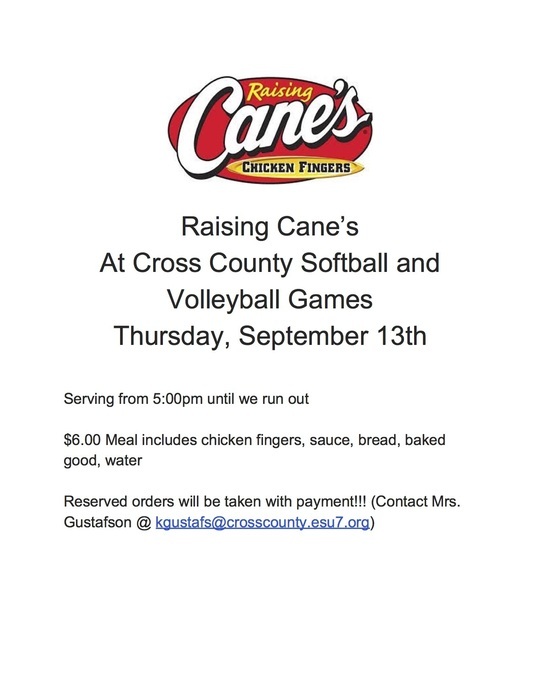 Cross County will be serving Raising Cane's at the Softball Triangular on Thursday September 13th. 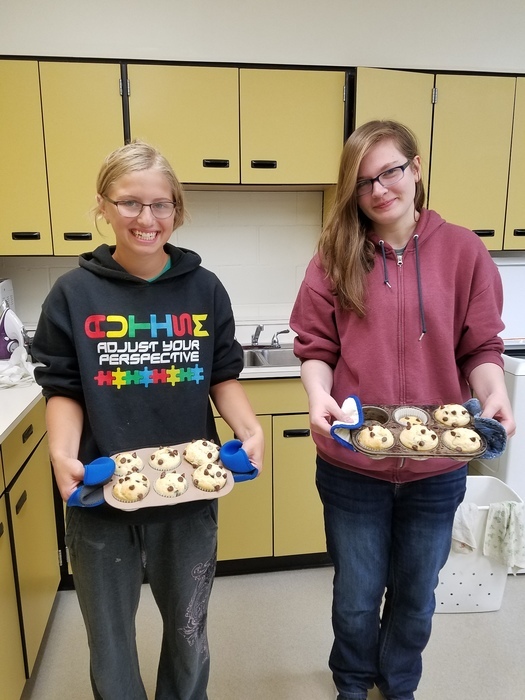 You can reserve orders by emailing kgustafs@crosscounty.esu7.org. Due to wet conditions, the JH and HS Cross Country meet in Aurora has been moved from the golf course to Streeter Park in Aurora. 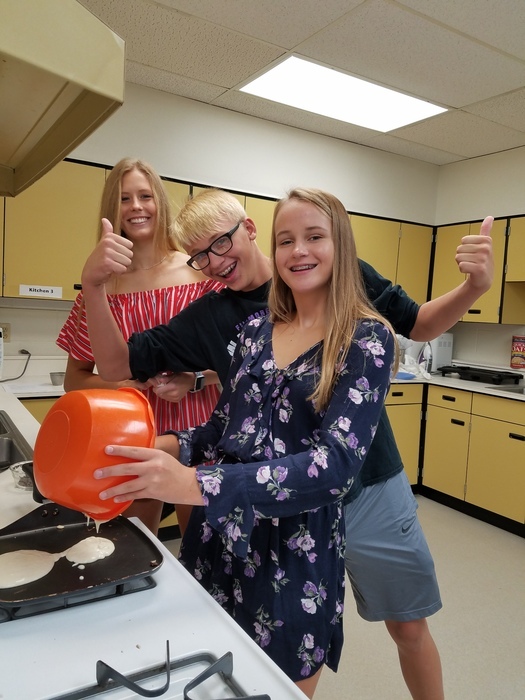 Freshman FCS class flipped over pancakes this morning. 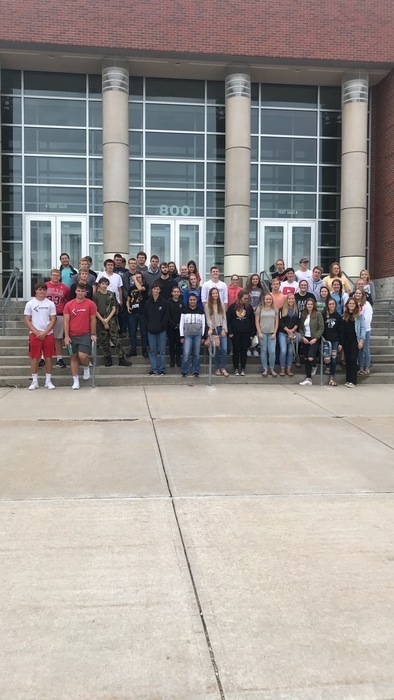 Seniors visited Hastings College and Central Community College in Hastings on September 5th. They enjoyed the lunch options at Hastings College. Due to wet field conditions, the SB games scheduled to be played at Freeman on 9-6-18 have been moved to Wilber. FC will play at 4:30 p.m. and 6:00 p.m.
Due to injuries and low numbers at Centennial, the JV FB game scheduled for 9-4-18 has been cancelled. Good Luck to all our athletes competing today! 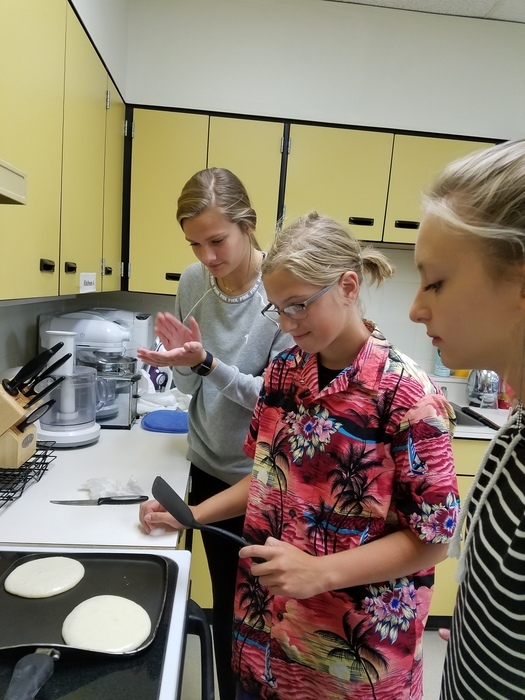 Cross Country is on the run in Superior, Volleyball is setting up for a win in David City, and Softball is going to be hitting it out of the park at home. GO PANTHERS! 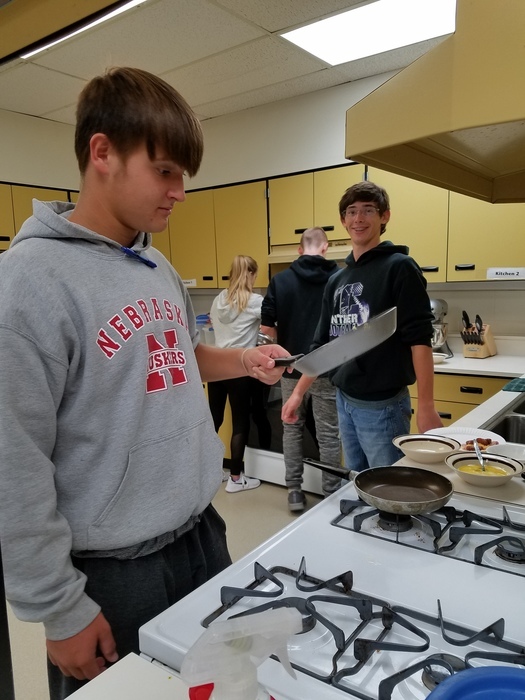 The Freshman FCS class sure enjoyed making omelets today! Parent's Night for FB will be August 31 vs. Holdrege. Parents need to be at the north gate by 6:35 p.m. 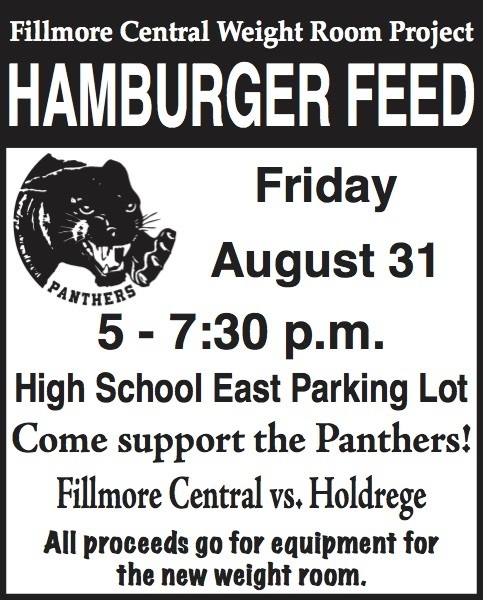 The Athletic Boosters will be holding a hamburger feed on Friday August 31st from 5:00 – 7:30pm. All proceeds will be going to the weight room. The Cheerleaders will be selling Val's pizza by the slice on Tuesday, August 28th, at the softball game. Pizza will arrive by 5:45pm, and first pitch is at 6:00pm. Come out to support the Lady Panthers and enjoy some awesome pizza! 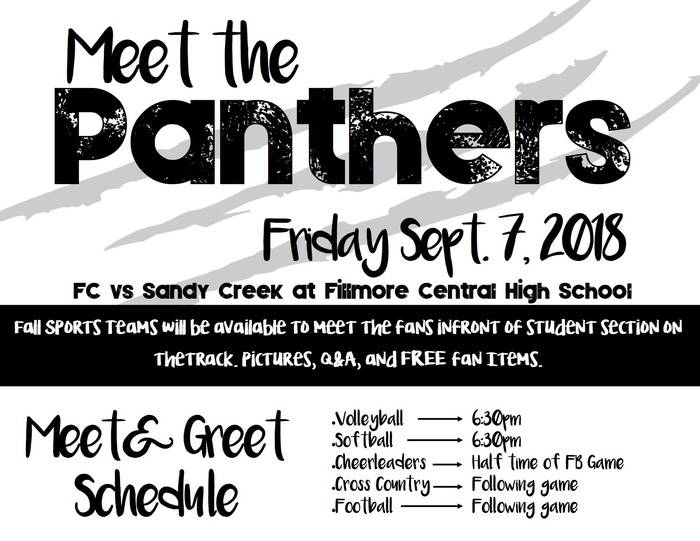 Join us on Friday Sept 7th for Meet the Panthers! Fall sports teams will be available to meet the fans in front of the student section on the track. Pictures, Q&A, and FREE fan items. ABC (Academic Booster Club) meeting on Monday, August 27th at 6:30 p.m. in the Library. All high school parents are welcome. There will be an ABC (Academic Booster Club) meeting on August 27th at 6:30 p.m. in the Library. Fillmore Central Schools, along with Exeter-Milligan School and Shickley School, will have an assembly featuring the band Gooding for students grades 7-12 on Aug. 30th. They are a rock band on a mission to teach students about financial literacy. Fillmore Central Schools, along with Exeter-Milligan Schools and Shickley Schools, will have an assembly featuring the band Gooding for students grades 7-12 on Aug. 30th. They are a rock band on a mission to teach students about financial literacy. 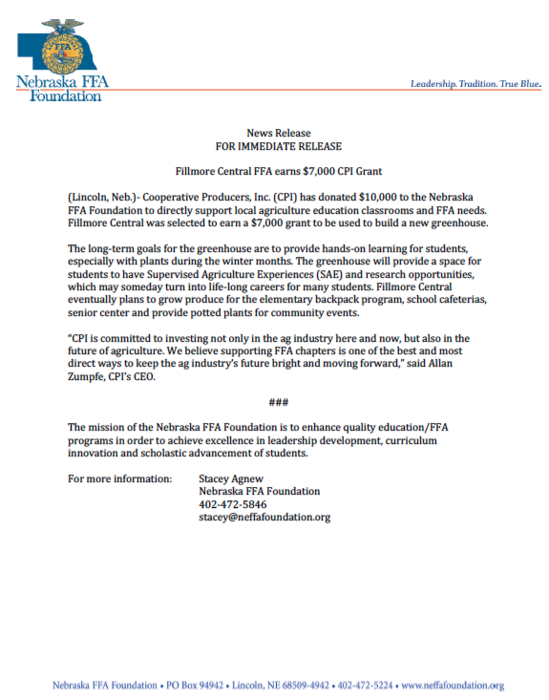 Fillmore Central FFA was selected by the Nebraska FFA Foundation to earn a $7,000 grant to be used toward building a new greenhouse. 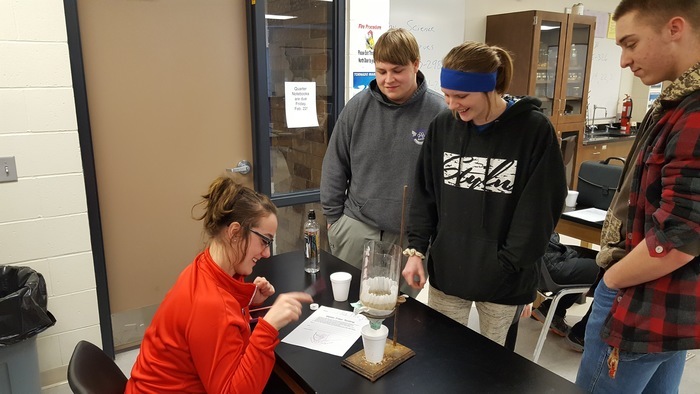 If you wish to donate to the greenhouse project please contact Kurt VanDeWalle at kurt.vandewalle@fillmorecentral.org. David City VB 8-30-18. Due to construction, this is the best way to get to the school. Take highway 15 into town, turn east on Kansas (next to FB field) and continue to 7th street. Turn north on 7th and continue to E street. Turn east on E until you see the stop sign. Cheer Clinic Registration forms and payment are due at 8:00 AM on Friday August 24th. 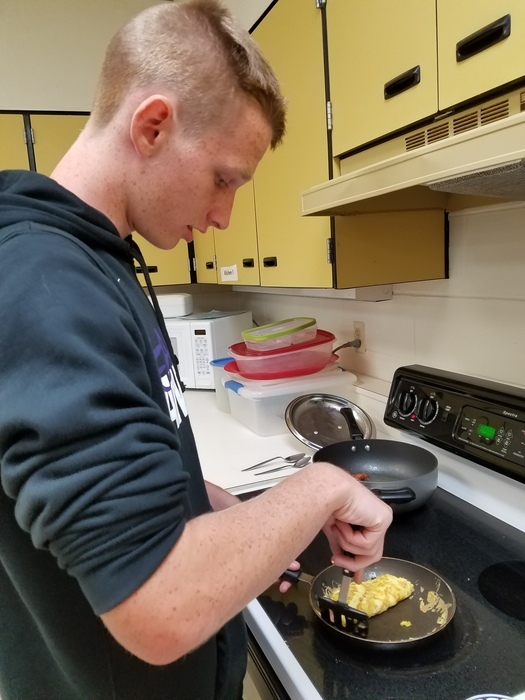 The Athletic Boosters will be holding a hamburger feed on August 31st from 5:00 – 7:30pm. All proceeds will be going to the weight room. 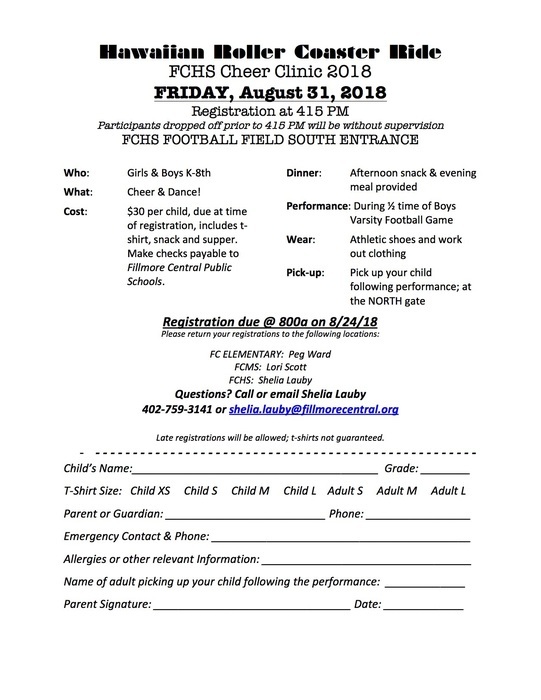 Cheer Clinic 2018 is on August 31st. Attached is the registration.